Mainz and Köln bring the first half of the Bundesliga season to a close on Sunday. 1. FSV Mainz 05 and 1. 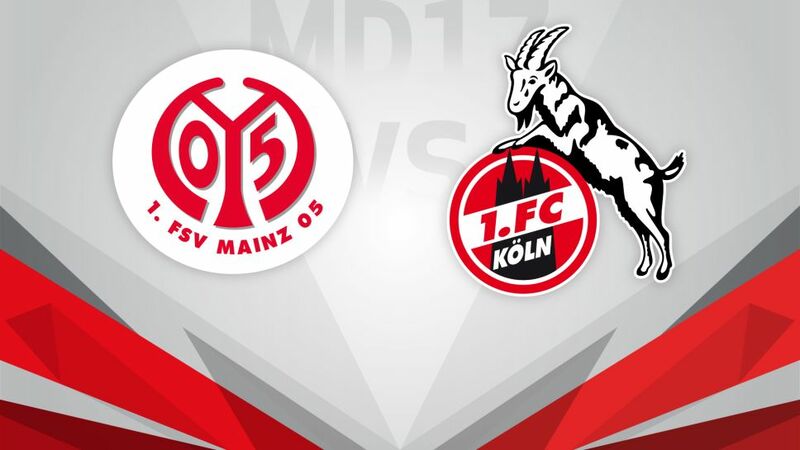 FC Köln have the honour of bringing the first half of the 2016/17 Bundesliga season to a close this Sunday when Germany's two Carnival clubs meet at the Opel Arena (kick-off 17:30CET/16:30GMT). The big news at Mainz over the winter break has been the departure of influential midfielder Yunus Malli to VfL Wolfsburg. The 24-year-old scored six and assisted just as many in the first half of the season, and replacing him will perhaps be Martin Schmidt's biggest challenge, especially against a Köln side that tends not to concede many. Peter Stöger's Köln, meanwhile, will fancy their chances of taking three points in this one.. They came back from two goals down to win this fixture 3-2 last season, with Anthony Modeste, who has 13 goals to his name this term, among the scorers. The Billy Goats have also been solid at the back this term, losing just three games, with first-choice goalkeeper Timo Horn set to return to injury.